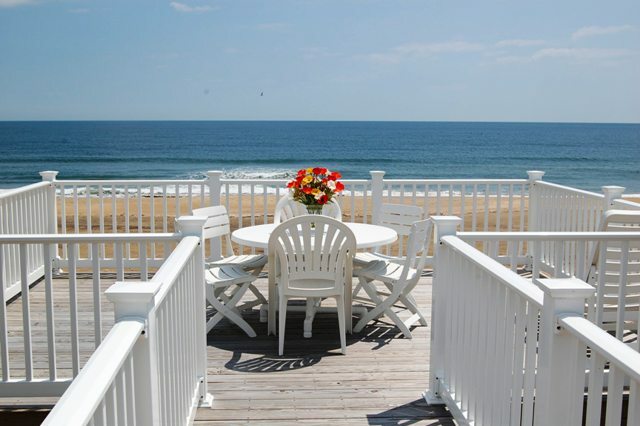 Virginia: Virginia Beach, Sandbridge – Beach Time, Slow and Easy, No Schedules Needed. I am sitting on the deck starring at the Atlantic and waiting for the sun. It is the first morning of our family vacation at the beach and I plan to find quiet time for myself each day – so far so good. I made coffee by flashlight, secured granola bar from the sack box and borrowed an over-sized beach towel haphazardly left on a chair. Opening the sliding door was a bit tricky but it’s been 10 minutes and there is no sound from the house. My first sunrise will be uninterrupted. As I sip my coffee the gray-black horizon is being doused with hues of purple, orange and increasing amounts of yellow. I see pelicans scanning the waves and seagulls working the beach. It is low tide and the rhythm of the waves is slow and easy. Slow and easy – describes our plans for the week. I plan to share sand castles, sea breezes, and sunsets with my kids. We’re going bike, hike and try surfing – some of us that is. I am keeping sunrises for myself. 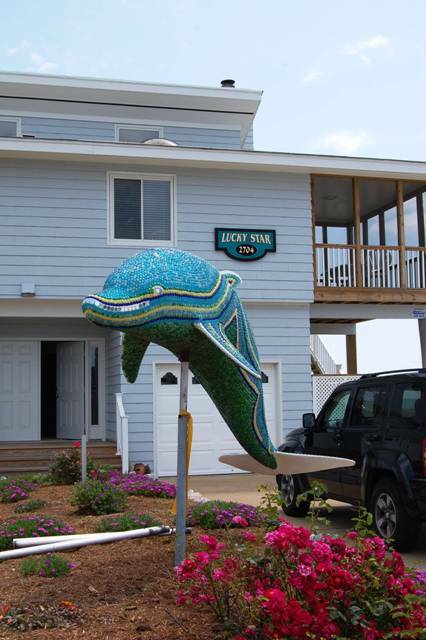 We have the ideal beach house – a home away-from-home. It has room to be together and space to escape – absolutely essential with three generations and four bodies younger than ten. One block away my brother and his teens are beginning their second week – he has set up a remote temporary office to get the most out of family time at the beach yet stay connected to his office. His teens have made friends and seem to be living the life. When we arrived yesterday they were seated on our beach house steps – disheveled and smiling – eager to help us unload the food, see our place and show us their cool stuff. At sunset after burgers and beans we walked along the beach while all of the kids chased waves – squealing with delight. We returned for ice cream at our place and then it was back to the beach for stargazing – ah vacation time on Sandbridge is easy. Sandbridge is a barrier island which stretches to North Carolina – relax it is not the “way” to the Outer Bank unless you are going by boat – there is no through traffic. The narrow island is populated with beach houses, cozy cottages, deluxe condos and a couple of eateries for convenience. From any spot on the island the beach is only a short walk away and it is never crowded. In addition to miles of marvelous beach, predictable waves and refreshing breezes, stargazing is obvious benefit. Deciding to stay on Sandbridge was easy for our two families however it was not so easy for us to decide on exactly where to stay. The menu of choices is extensive and includes spaces to match any size family and any size budget. We decided on two separate places to ensure our holiday would be stress free; the plan worked. One with a pool and one on the beach gave us the best possible combination for everyone. All adults agreed to the idea of slow and easy with no schedules and we also planned to take advantage of the proximity to nature which is a bonus to being on Sandbridge. The southern tip of Sandbridge is managed by Mother Nature with the help of a few humans. Together, Back Bay National Wildlife Refuge and False Cape State Park provide miles of pristine undisturbed beach, waterways and marshland for kayaking, canoeing, hiking, biking, bird-watching, kite flying, and beach combing. This is the good stuff without a gift store. Back Bay National Wildlife Refuge encompasses more than 8,000 acres of beach, dunes, marsh, farmlands, woodlands, and water. Easy access to the Refuge is a huge benefit if you want to share nature with your kids. In addition to two boardwalks that lead to the beach, The Bay Trail, Environmental Study Area, and portions of interior dikes are also open hiking. Biking is also permitted on the east and west dikes on a seasonal basis so if you have a bike rack, load up the bikes because the riding is worth it. Seasonal interpretive programs are provided at various locations throughout the Refuge including Ashville Bridge Creek Environmental Education Center. We discovered an easy way to create a family field trip to False Cape. Jump on the “Blue Goose Express” (it’s a mini bus) at Back Bay National Wildlife Refuge parking lot. It runs daily during the summer and frequently during spring and fall departing at about 9:00 A.M. The journey takes roughly 45 minutes to reach the contact station in False Cape and during the ride it is possible to ducks, geese, swans, nutria, white-tailed deer, rabbits, foxes, turtles, snakes, ospreys, egrets and great blue herons. Once in False Cape, everyone has two hours to enjoy the area. A park ranger or volunteer is available to answer questions about historical sites, vegetation and wildlife. It is easy to hike east to the Atlantic, south to Wash Woods or west to Back Bay – be on the lookout for wild horses and feral pigs. The tram returns to the parking lot at approximately 1 P.M. It’s easy, fun and stress free. If you decide to take the excursion remember to carry your own bug repellent, sunscreen and plenty of drinking water. The obvious benefit of False Cape Park is its remoteness. Spanning 10 miles of non commercial beach it is one of the last undisturbed coastal environments on the East Coast. Still a secret from most humans, the beach is well populated by gulls, piping plovers, sandpipers and tiny crabs. Even on a hot summer day the beach is never crowded. The place is ideal for kite flying and beach kick ball. Hiking trails lead away from the beach through bordering dunes, over marshland and into woods – the place is wild. A wide variety of programs created are available for the general public including stargazing and night hikes, birding walks, canoe trips and seining. 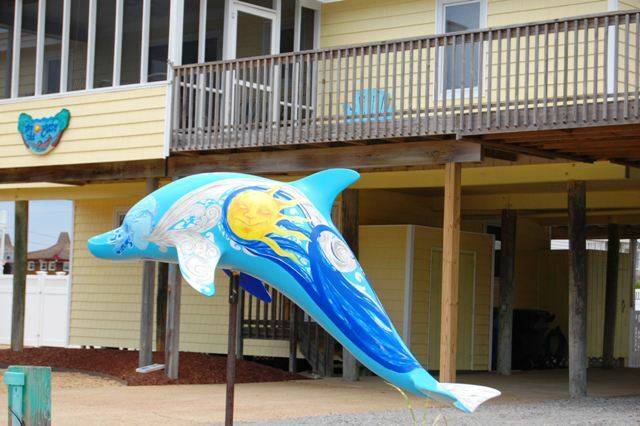 Some of them are in partnership with Virginia Marine Science Museum, the Virginia Institute of Marine Science and Back Bay National Wildlife Refuge. To get to the beach visitors bike or hike through Back Bay National Wildlife Refuge to the edge of the sea. Another really cool way to access the park is by riding the beach transporter called “Terra Gator” – a low impact method of group transport. A ride on the big yellow “Gator” is an experience all by itself. Our week progressed at a manageable pace. Some of us managed to get to the Boardwalk for the music while others only got as far as fish at Rudee Inlet. The beach time was first class; the surf was kind to beginners. We lost out soccer ball at False Cape and left flip-flops somewhere in the Back Bay. We used our bikes; rented kayaks; made s’mores and tried to find the Little Dipper. Our vacation on the edge between the Boardwalk action and Mother Nature’ playground was easy. We all enjoyed downtime and family time. Only the sun stayed on schedule. 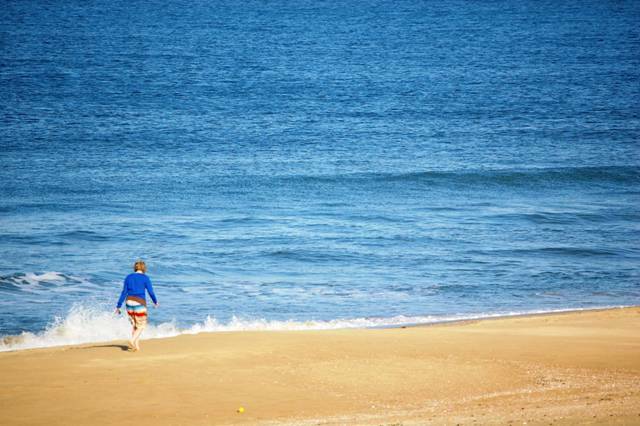 Virginia Beach is an ideal family beach destination because it has plenty of action that is things to do for kids, teens, and adults. It is sort of a vacation smorgasbord of fun stuff – an easy sell to teens as well as the old folks and sleeping on the edge makes perfect sense when things need to be slow and easy.